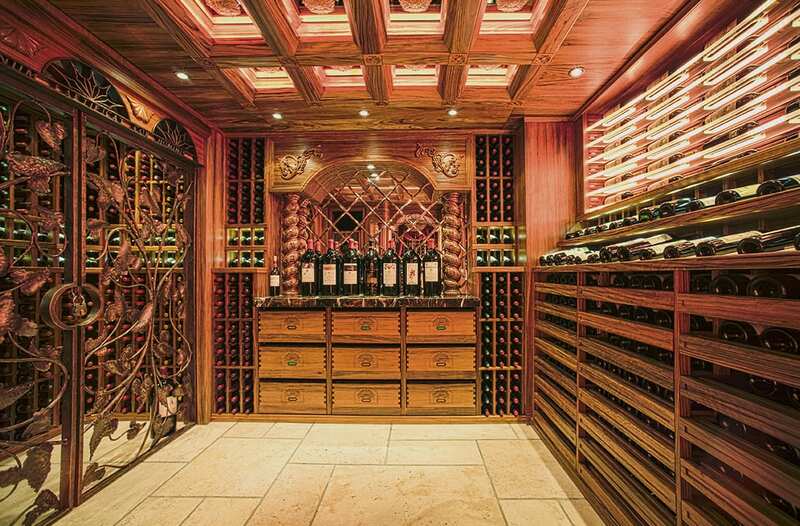 As one of the world’s most important wine consuming countries, Hong Kong is home to many enthusiastic wine consumers and collectors, many of which are aware of the significance of owning an artfully designed and built wine cellar for enjoying their wine alone, or with company, in the privacy of their own homes. 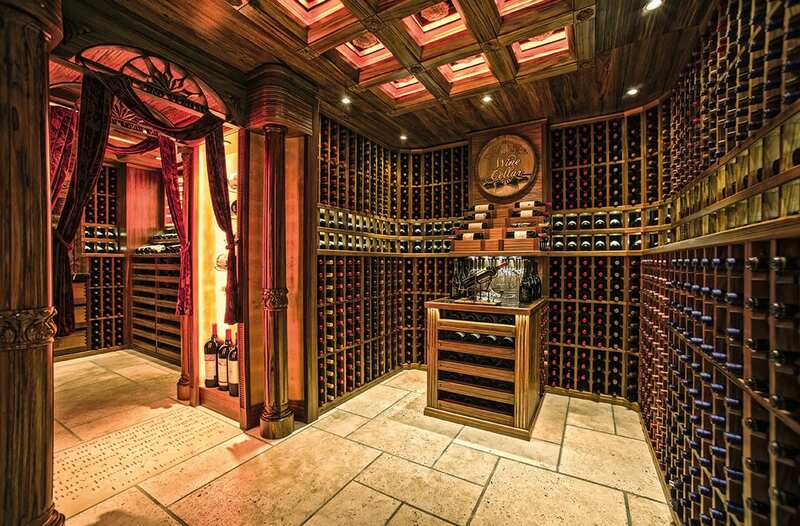 The owner of this cellar is definitely one of those wine enthusiasts for he did not only allocate two whole rooms of his luxury apartment on well-known HoManTin Hill, but also put effort into furnishing them with the best equipment and materials for a fulfilling result. 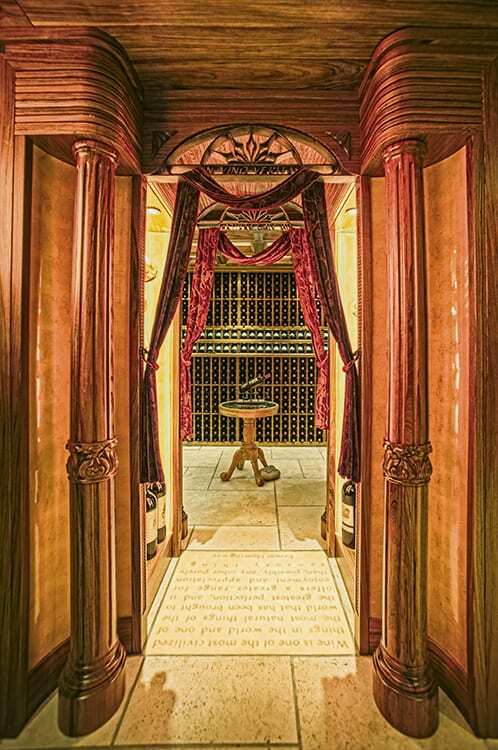 This is where Focus Wine Cellars came into the picture as one of world’s leading wine cellar specialist and transformed these two rooms into a stunning wine cellar surely to be shared and cherished for years to come. 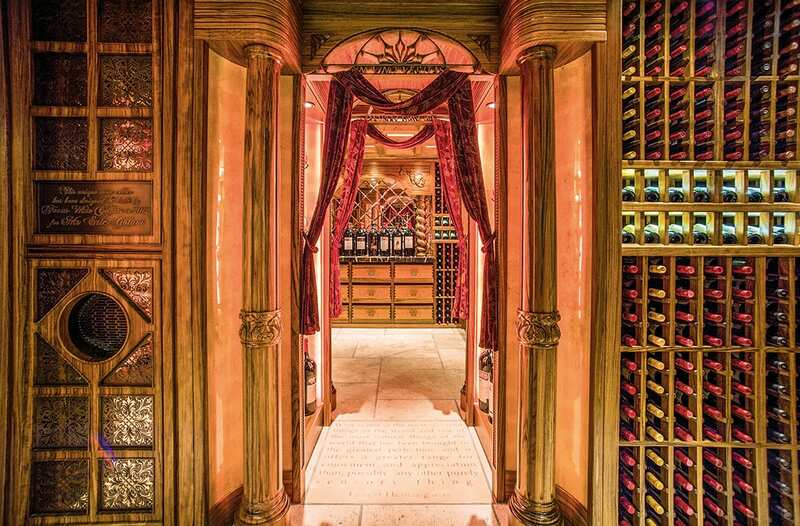 Inspired by these two rooms, the cellar is organised as a narrative of spaces flowing one into the other, rather than a singular and centric cellar. 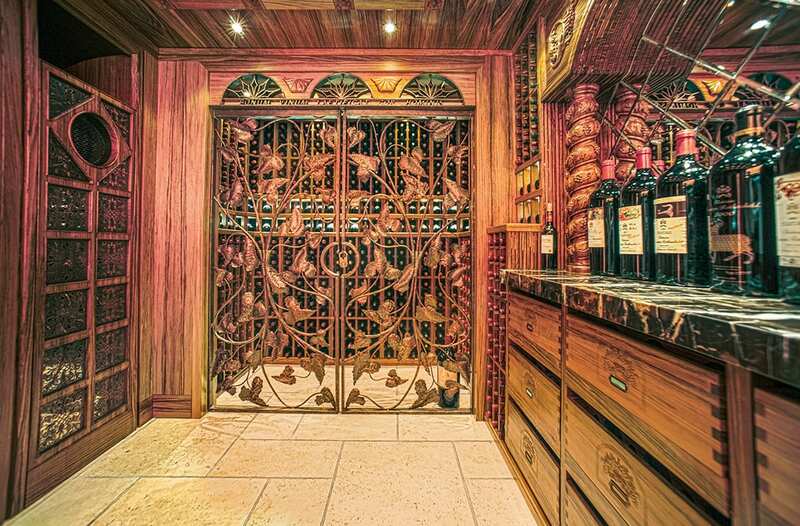 From the entrance door to the wine safe at the end, the visitors are led and amazed at every step by intricate details, such as the polished natural tree trunk, custom woven drapery with grape figures, antique copper countertop, handforged iron and sliding doors just to name a few. 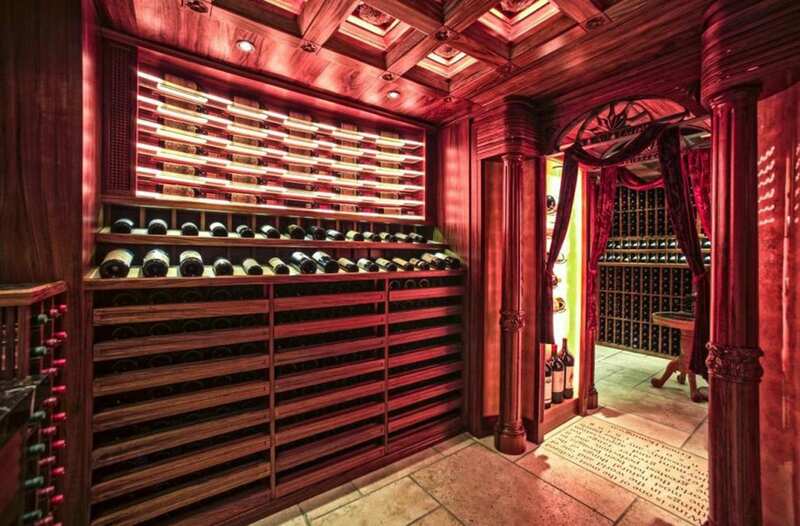 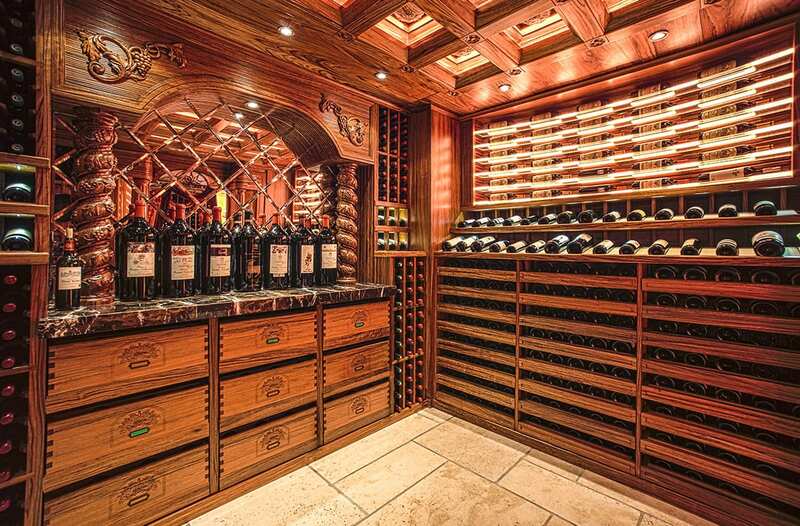 Another one of the criteria shaping this wine cellar and its display variety was the wine consuming habits of the owner. 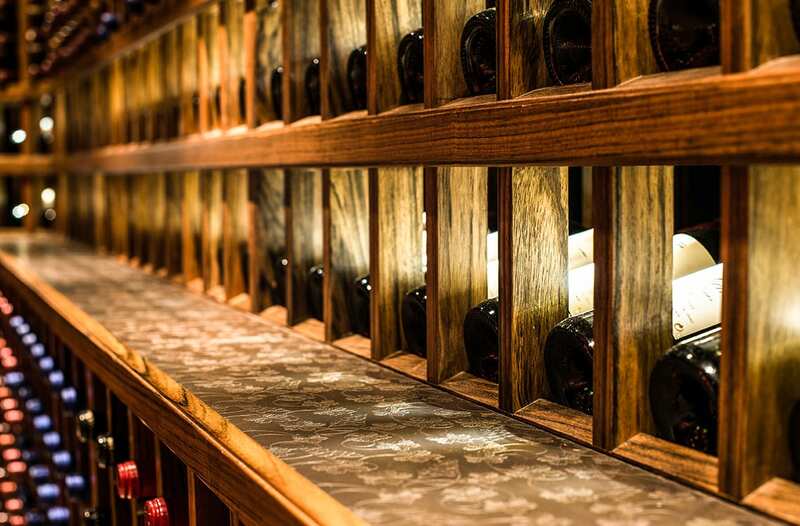 Since he was keen to purchase and display Magnum and Double Magnum bottles intensively, the regular individual display units needed to be varied by flexible full display units. 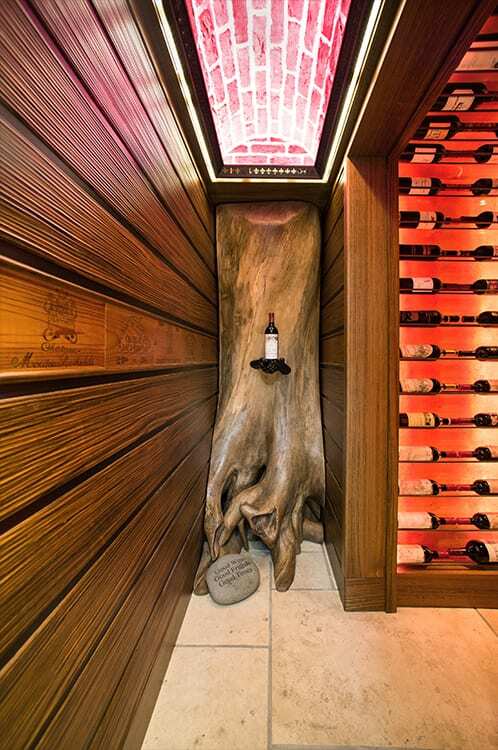 The top item designed and built for this purpose is the soft white leather display which allows full display of 35 Magnum bottles at eye level. 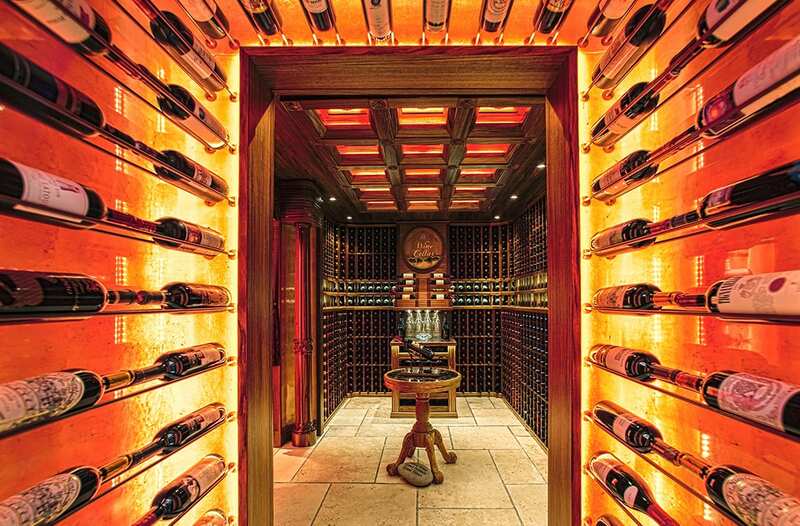 Crowning this, is the flashy CNC-cut glass displays backed by adjustable LED lights. 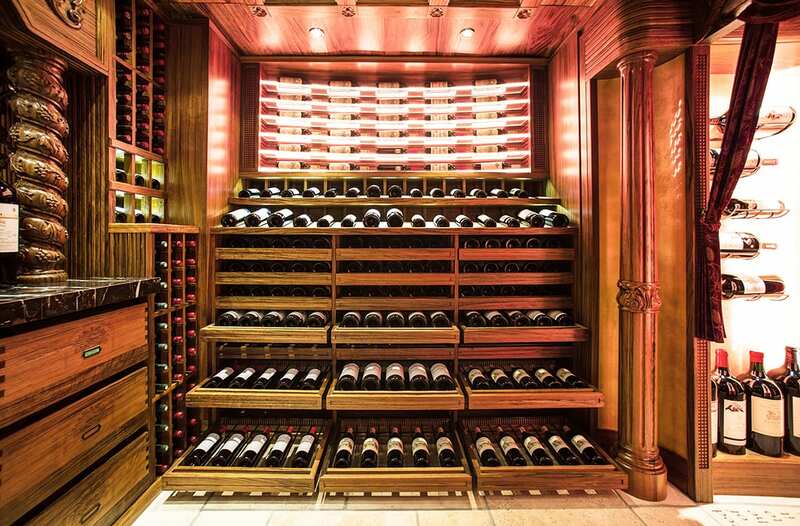 Furthermore, all drawers are equipped with adjustable rod shelving that can be easily adjusted to accommodate different sizes of bottles.